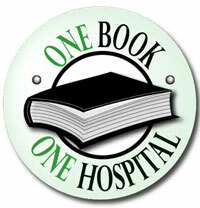 In 2007, the NHA Research and Education Foundation began the “One Book One Hospital” program. “One Book” projects (community-wide reading programs), initiated by the Washington Center for the Book in 1998, have been introduced across the U.S. and around the world. Health care providers from Nebraska are asked to read a series of books at the same time, then participate in related activities and forums for discussion of the books. NHA leads this project and invites participation from hospitals and healthcare providers throughout the state to plan activities that become an integral part of this statewide reading project. The goal of One Book One Hospital is to foster a sense of community through reading and stimulating discussion of a common book and enhance the reading experience with related educational program components. The NHA will send discussion questions to participants prior to each quarter. There is no charge to participate in this program, but you are required to obtain your own books. Questions? Contact Kim Larson, director of marketing, at 402-742-8143 or klarson@nebraskahospitals.org.